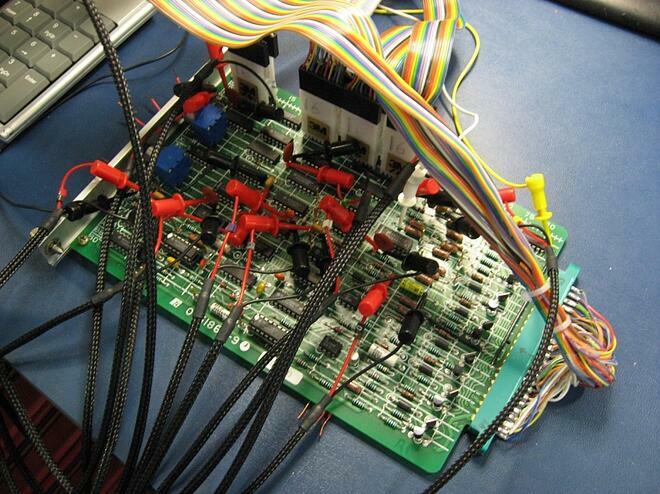 The PinPoint machine is a unique tool for creating and performing testing on printed circuit boards (PCBs) that for various reasons cannot be repaired using the normal means used by our engineers and technicians. Utilizing this tool takes a process that once boiled down to manual testing and guess work and transforms it into a means to precisely diagnose and repair faulty PCBs. The PinPoint machine itself is a combination of a powerful built-in PC and a suite of various diagnostic tools such as a multi-meter, oscilloscope, frequency generator and counter, power supplies, and even a form of the Huntron Tracker (A powerful desktop diagnostic tool). 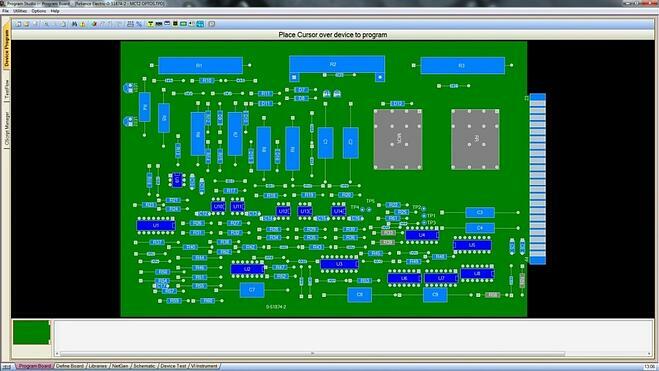 All of these tools are utilized together through software to create a “snapshot” of a good PCB to compare to faulty ones. 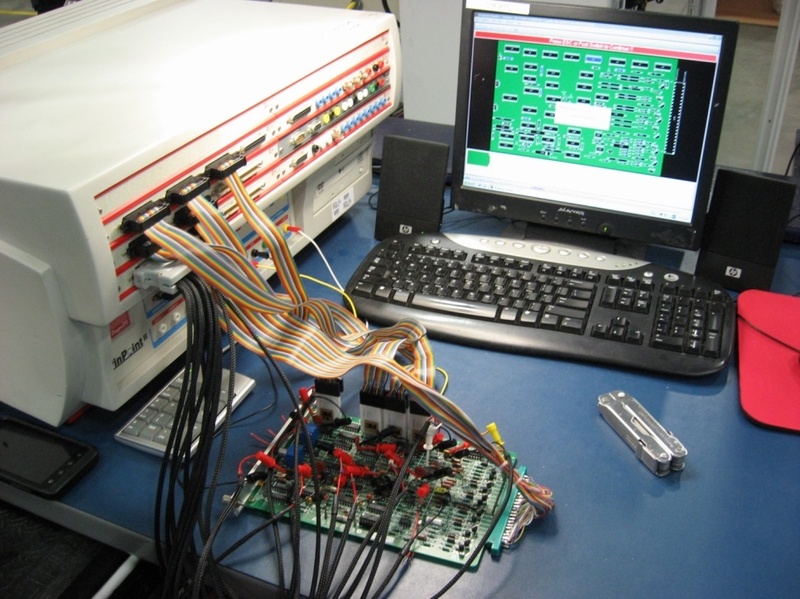 The whole PinPoint process starts with what is known as a “known good” example of the PCB to be used as a template for testing units in the future. First, a graphical image of the known good PCB is created. The physical dimensions and features of the circuit board are laid out, as well as a scale graphical representation of each electronic component and part placed exactly on the image as it would appear on the actual unit. Additional features, such as silkscreened text, can also be added in order to create a graphical image of the unit to be tested that is as close to the original as possible. 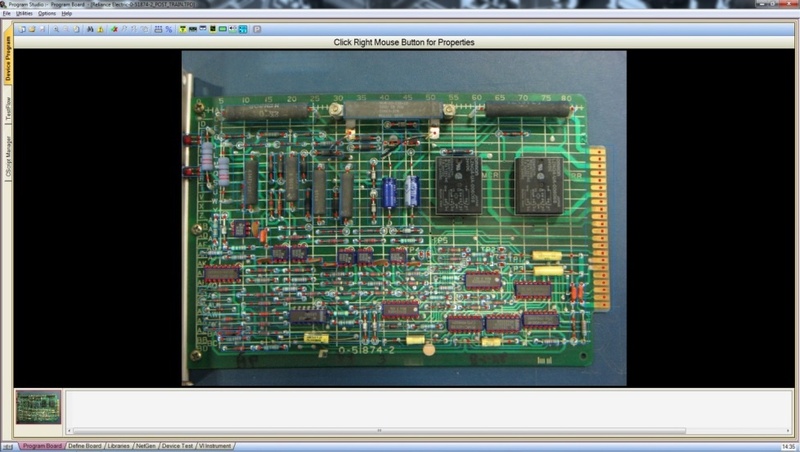 This close relationship between the original unit and the image used in testing benefits PinPoint operators and repair technicians alike: Each component to be replaced is called out in a testing report and in a full color image showing the components to be replaced. Obtaining all of the information required to develop testing is a lengthy process, sometimes requiring weeks. The time invested in developing Pin Point testing is gained back, however, in the form of a test that not only is incredibly accurate but in some cases takes less time to perform than a traditional evaluation performed on a technician’s bench. Once the test has been developed, speed and accuracy are two areas where PinPoint really shows its strengths. The unit can be PinPoint tested, repaired and then PinPoint tested again to verify the accuracy of the repairs prior to the unit shipping to the customer. Our Pinpoint machine is just another way that Radwell International offers you great options for maximizing our repair abilities. We are constantly growing, innovating, and increasing our capabilities to help provide the best repair offerings and troubleshooting solutions for our customers. We want to be your source for repairs and can provide solutions for even the most difficult repair situations. 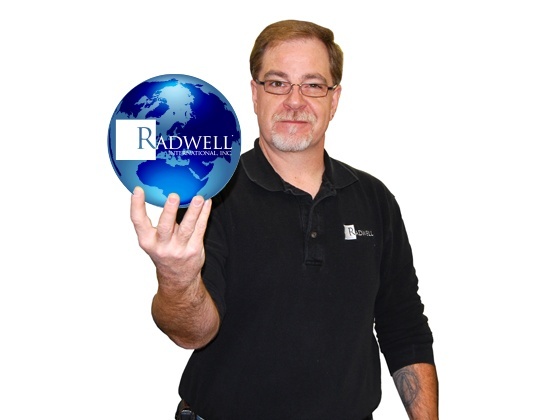 For more information, contact Radwell-International at 1-800-332-4336.